Limited Edition Of 480. Our California artisan takes a tranquil turn, painting this serene scene of snowflakes falling amid birches and firs against a winter sky. 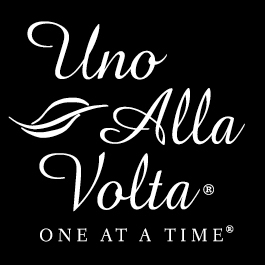 Each richly detailed scene is hand painted on a silvered vase, exclusively for Uno Alla Volta, and signed by the artist. 11 in. high x 5 in. diameter.